On March 26 this year Wojskowe Zakłady Uzbrojenia S.A. signed an agreement with Lockheed Martin Corporation for performance of offset commitments in the first phase of WISŁA program. Polish Armaments Group (Polska Grupa Zbrojeniowa) and Lockheed Martin Corporation, in the presence of the Minister of National Defense Mariusz Blaszczak, signed agreements for performance of offset commitments in the first phase of WISŁA program. The agreements with the Lockheed Martin Corporation were additionally signed by representatives of four other companies from Polish Armaments Group (PGZ): Wojskowe Zakłady Elektroniczne S.A., Wojskowe Zakłady Uzbrojenia S.A., Wojskowe Zakłady Lotnicze no. 1 S.A. and Wojskowe Zakłady Lotnicze nr 2 S.A. Signed agreements strengthen industrial partnership in the scope of supplying modern weapons to Polish Armed Forces and enable the implementation of technologically advanced solutions which develop the potential of Polish defense industry. The agreement is a result of negotiations between Lockheed Martin Corporation and PGZ-WISŁA Consortium. Polish Armaments Group, according to the decision of the Ministry of National Defense, is a major offset recipient in the first phase of WISŁA program. 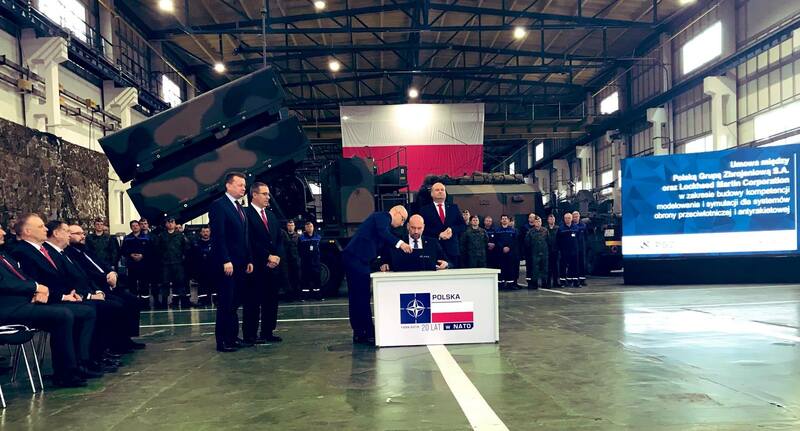 The agreements include 15 offset commitments, which mainly relate to the transfer of production capabilities for selected components of PAC-3 MSE missile and launchers, servicing launcher components and increasing the level of maintenance for Polish Armed Forces aircraft. Polish Armaments Group will additionally create a laboratory for missile simulation testing.